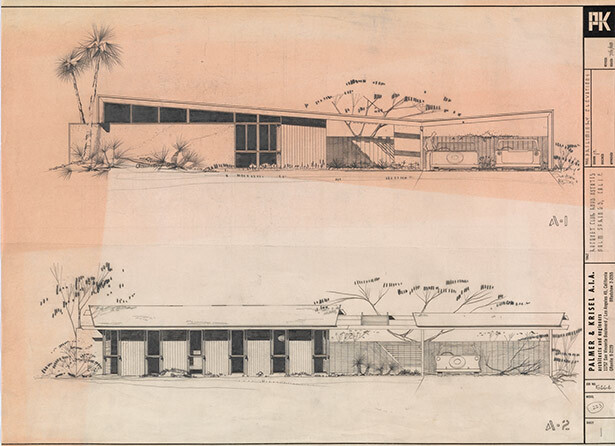 We’re pleased to announce the opening of a new archive relating to midcentury architecture in Southern California: the William Krisel papers. 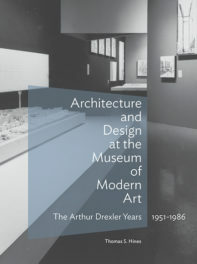 Processed with a grant from the Council on Library and Information Resources, the collection consists of drawings, photographs, and written documentation that illuminate the work of one of the region’s most prolific architects. 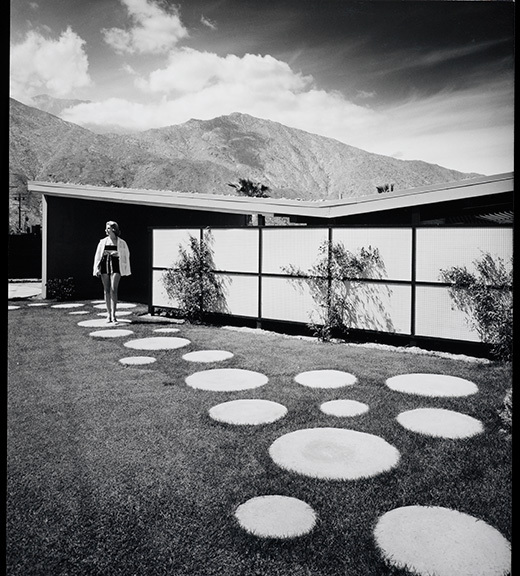 Through his collaborations with such developers as George Alexander, Leonard Drogin, and J.C. Dunas, Krisel left an indisputable mark on the post–World War II landscape with his iconic tract house designs. By some estimates, he and his partners are responsible for more than 40,000 units of housing in Southern California, bringing the aesthetics and values of casual indoor-outdoor living to the masses. 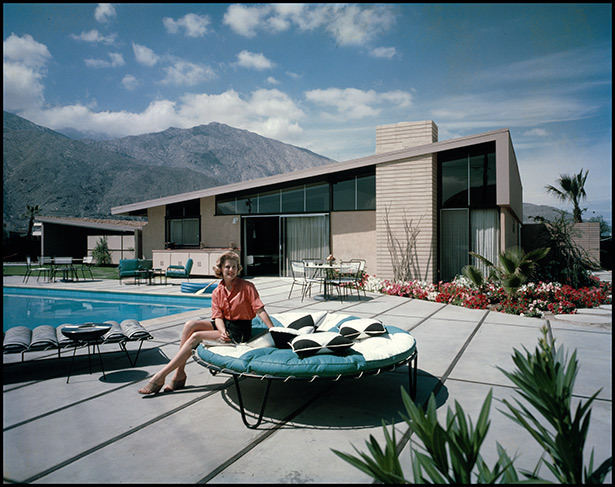 These homes, celebrated for their affordability and the quality of their construction, exemplified the building boom in Los Angeles, San Diego, and the Coachella Valley after the war. Born in Shanghai, China, in 1924 to American parents, Krisel received his architectural training at the University of Southern California. Although his studies were interrupted by the war, he graduated in 1949 and earned his license in 1950. 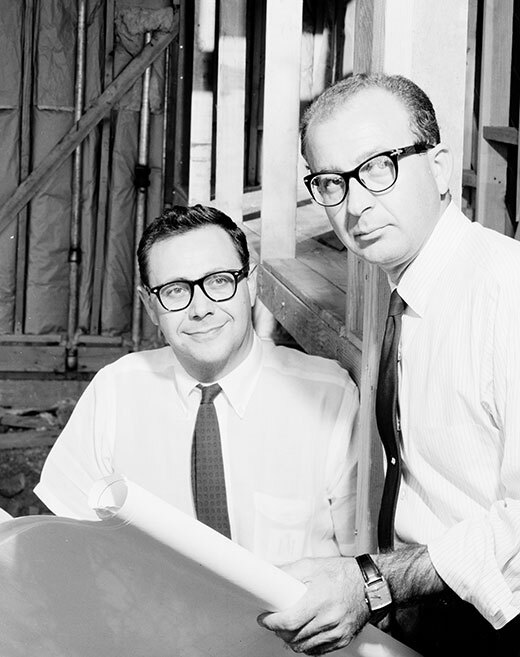 That same year, he formalized his partnership with Hungarian-born architect Dan Saxon Palmer. Although the firm of Palmer & Krisel initially pursued custom home designs, they quickly transferred their experiments in modular post-and-beam construction to tract house construction. Their first major development, Corbin Palms, was built in cooperation with the Alexander Construction Company and completed in 1955. The work of Palmer & Krisel over the next decade reflected widespread interest in making home ownership both accessible and enjoyable. 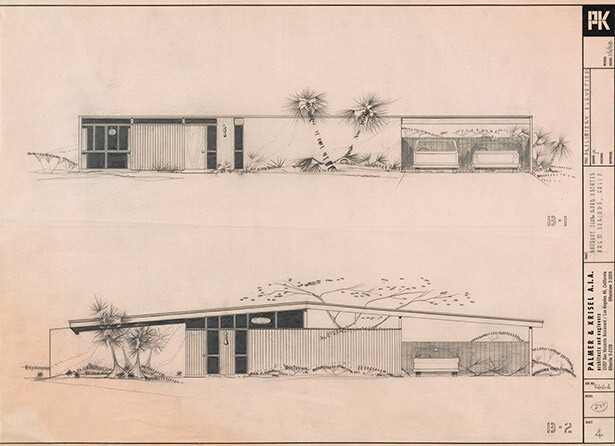 Their single-family tract houses were characterized by unique siting and landscaping, minimal ornamentation, innovative butterfly roofs, and large glass windows, expanding the design philosophy of their peers, including John Entenza and the Case Study House program, to meet the needs of the growing middle class. The collection at the GRI includes dozens of elaborate renderings that express Krisel’s dedication to combining standardized layouts with visually interesting exteriors and landscapes, a distinct component of the firm’s designs. 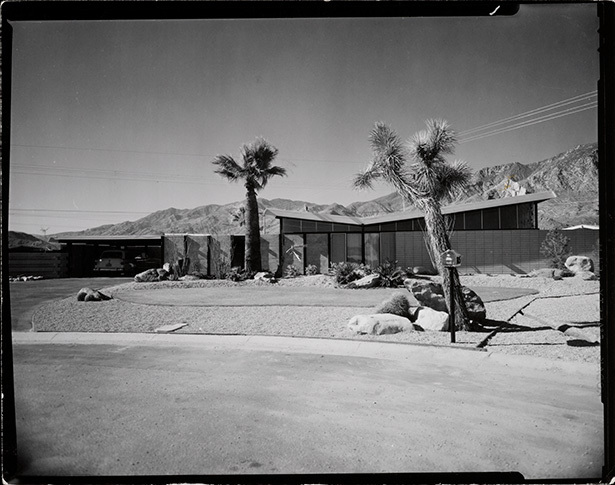 Of particular note in the archive is the material relating to Palmer & Krisel’s work in Palm Springs and the surrounding region. The firm partnered with a number of developers to enhance the area’s appeal as a weekend destination for Los Angeles residents. These projects included Twin Palm Estates, the Sandpiper Condominiums, and Racquet Club Road Estates. 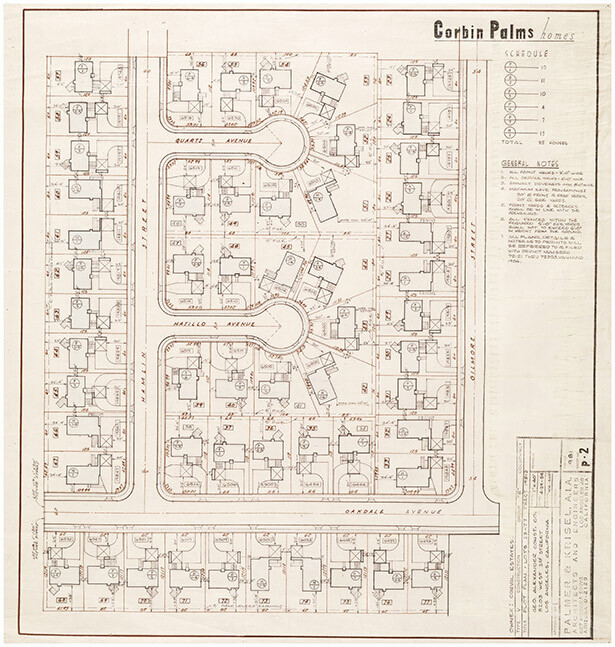 The archive not only contains drawings and photographs of these homes, but it also documents the recent revival of interest in restoring and renovating Palmer & Krisel residences among a new generation of home owners, particularly in Palm Springs. The collection also reveals a lesser-known, but equally productive segment of Krisel’s career: the design of high-rise apartments and condominiums, as well as commercial buildings, including office complexes, medical buildings, shopping centers, and hotels. 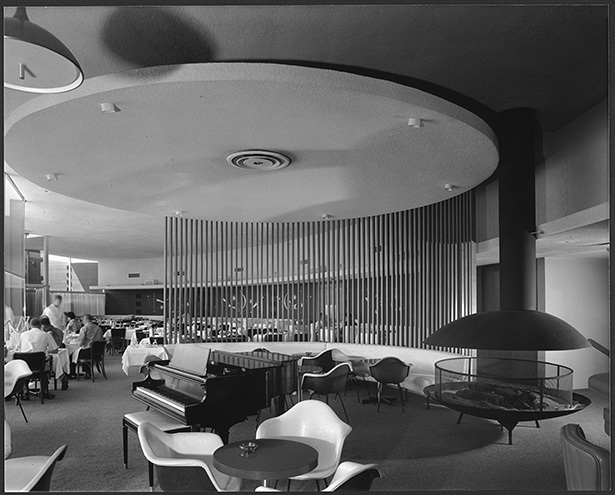 Many of these are projects from Krisel’s partnership with architect Abraham Shapiro, which lasted from 1969 to 1979. Throughout the process of cataloguing the archive, we were pleased to encounter Krisel’s commitment to integrated indoor-outdoor living, an expression of the optimism of the postwar era. This sentiment is most clearly visible in his intricate drawings of his tract houses, which not only illustrate avant-garde homes nestled among lush landscaping, but also depict residents enjoying leisure activities alongside modern automobiles. 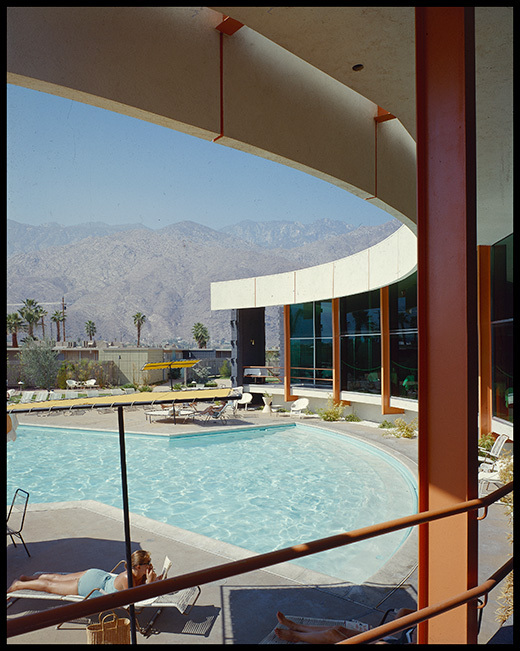 The spirit of this mid-century idealism can also be found in Julius Shulman’s photographs of certain projects, particularly those located in Palm Springs. 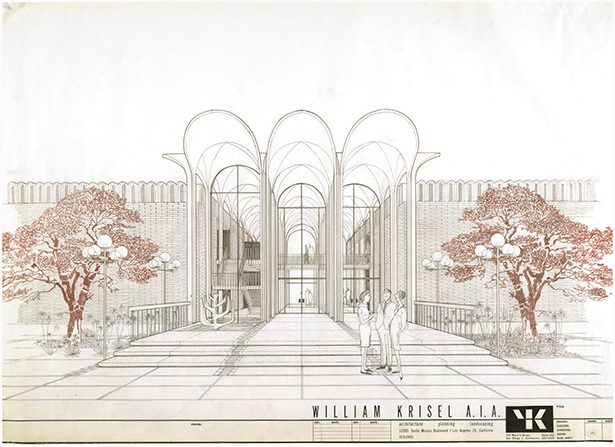 The William Krisel archive is the latest addition to the Research Institute’s significant holdings in regional postwar architecture collections, including the John Lautner papers, the Ray Kappe papers, the Julius Shulman photography archive, and the Pierre Koenig papers and drawings. Together, these collections will facilitate critical new discoveries regarding midcentury housing and design in Southern California. I was a library assistant in special collections cataloging at the Getty Research Institute, processing the papers and drawings of architects Ray Kappe and William Krisel. I have a B.A. 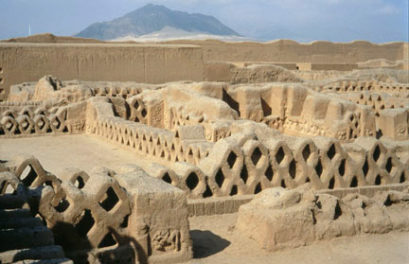 in architectural history from Columbia University and am a recent graduate of the Master of Historic Preservation program at the University of Southern California. My research interests include the California Arts and Crafts movement, midcentury modernism and culture in Los Angeles, and more recent developments of cultural heritage and preservation movements in ethnic enclaves. I love the Corbin Palms tract! As a Valley resident I’ve been really interested in the recent little revival of some of these mid-century homes. Mid century designs are never out. 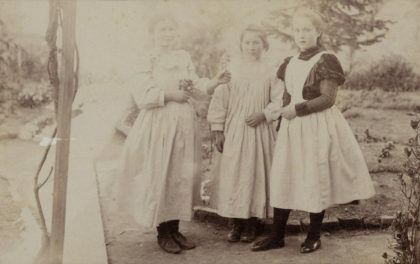 They are always as charming as ever. These are the designs that last forever. It is like restoring the history. Ocotillo Lodge looks like the setting in 007 movies. The piano is what makes it classical. Is there a way to view the archive?